The next print in Gallery1988’s official 30th Anniversary Ghostbusters Commemorative art project is “Metroplasm” by Anthony Petrie. 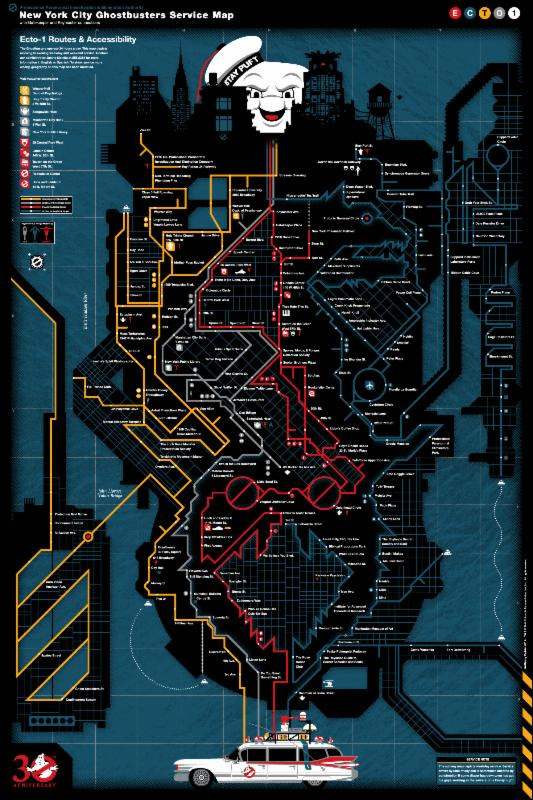 This fan favorite Subway map is 24 x 36 inches, with around only 200 copies available online. On sale Thursday, May 8th at 11am PDT HERE. “Metroplasm” by Anthony Petrie. 24″ x 36″ Screenprint. 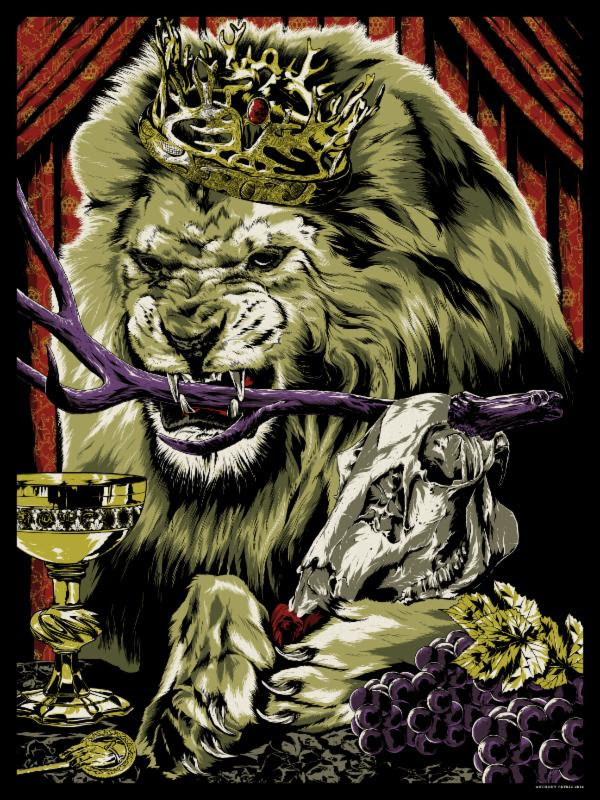 Anthony Petrie created this Game of Thrones inspried print titled, “Pride of King’s Landing” available now via Gallery1988. 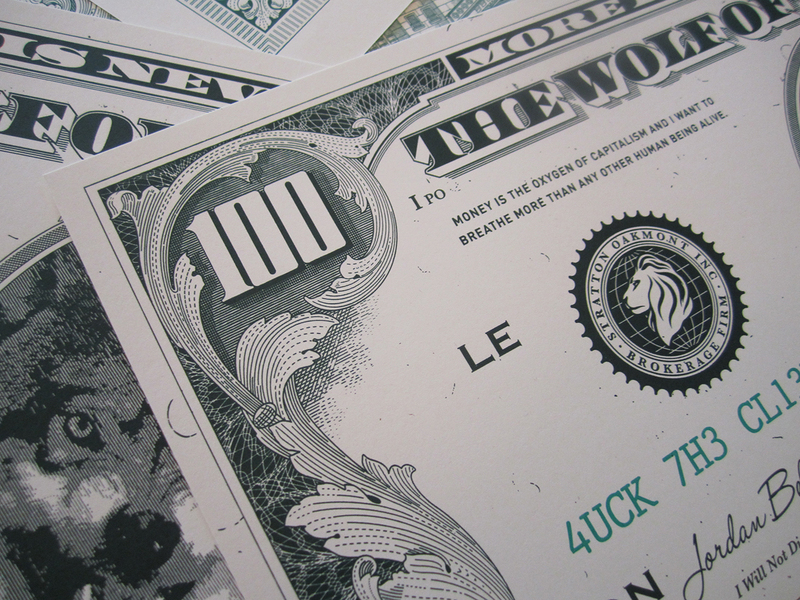 It is an 18″ x 24″ 5-color Screenprint, signed/numbered edition of 100, and cost $30. On sale now HERE. 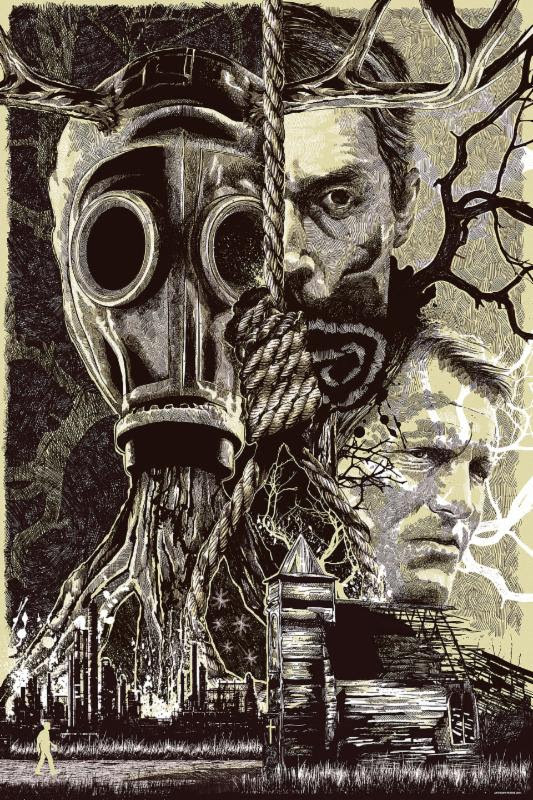 Anthony Petrie has a new True Detective inspired print available titled, “Lost Carcosa” via Gallery1988. 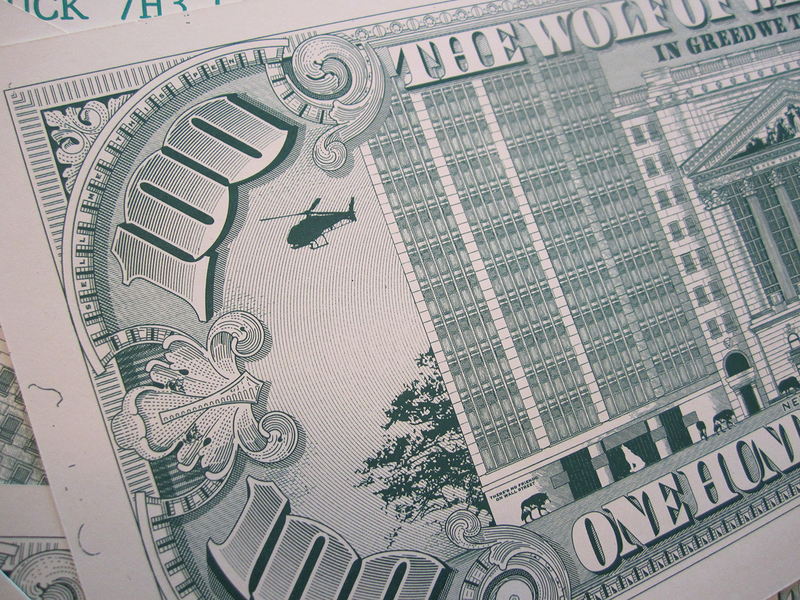 It is a 24″ x 36″ 2-color Screenprint, numbered edition of 100, and cost $40. 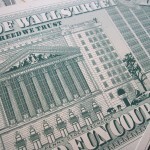 Anthony Petrie has a really cool new print available titled, “Fun Coupon” via Gallery1988. 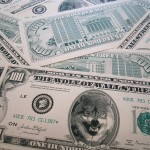 It is a 24″ x 10″ 3-color Screenprint printed double-sided w/ metallic inks, signed/numbered edition of 100, and cost $30. On sale now HERE. 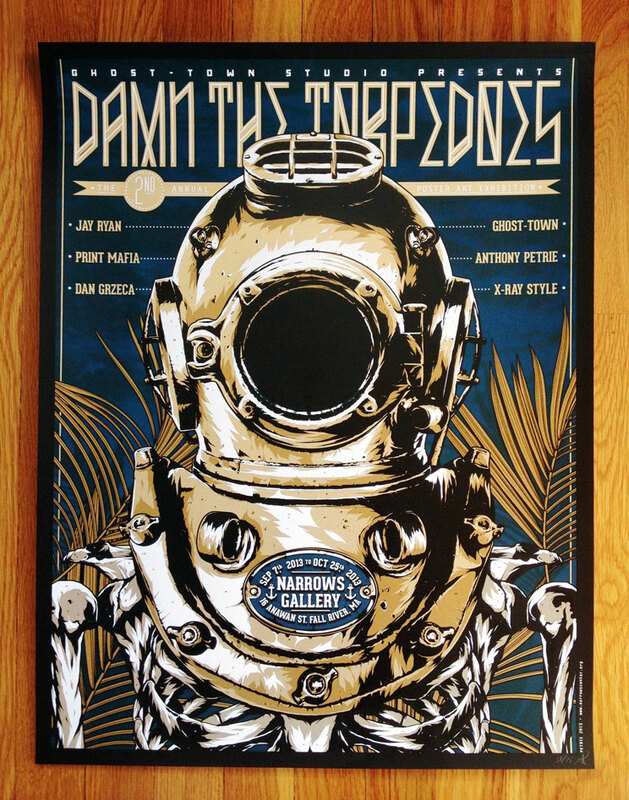 “Damn the Torpedoes” by Anthony Petrie is now available for purchase via Tiny Showcase. The poster celebrates the 2nd annual Damn the Torpedoes poster art exhibit at Fall River’s Narrows Center for the Arts. The show features the work of Anthony Petrie, Ghost-Town Studio, Jay Ryan, Print Mafia, Dan Grzeca, and X-Ray Style. 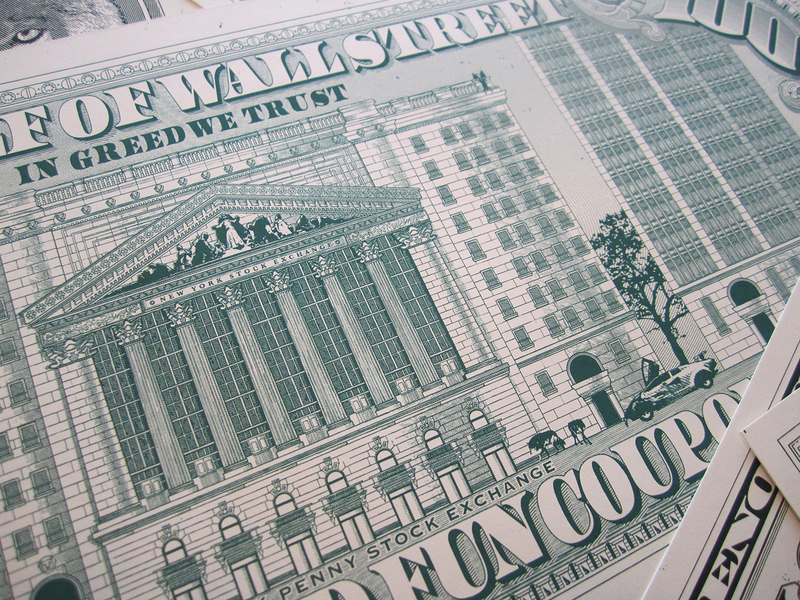 It is an 18″ x 24″ 4-color Screenprint w/ metallic inks, signed/numbered edition of 75, and cost $25. On sale now HERE. Anthony Petrie created a ‘A Warrior’s Dream’ series consisting of 4 prints first available at the Damn the Torpedoes show at Narrow’s Gallery in Fall River, MA from September 7th – October 25th. 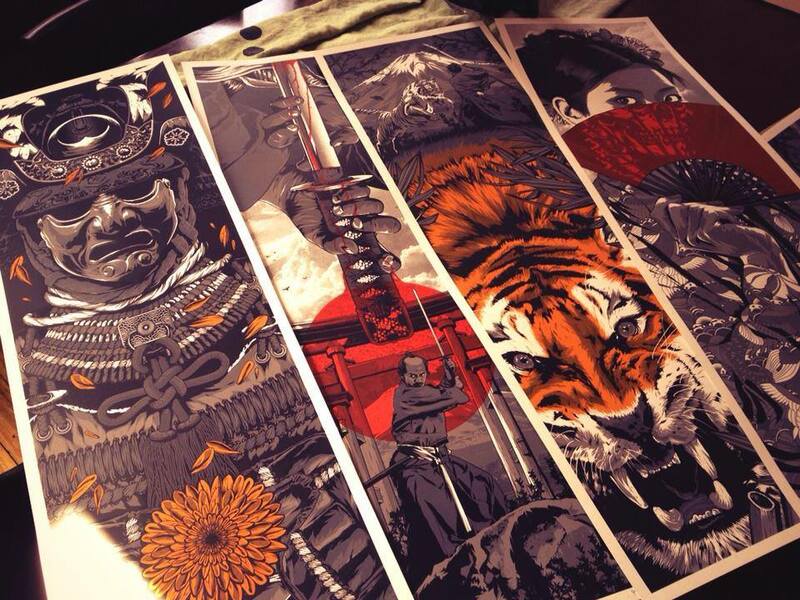 Each poster is based on the romanticized vision of the samurai. With each one being his interpretation of specific Jisei (Japanese Death poems) written by actual samurai before they committed the act of seppuku. Very cool! He will have limited quantities available on Monday, September 9th at around 12:30pm Eastern (9:30am PDT) HERE. Congrats to Gustavo R., Bryan M., Kevin C., and Zartan as you have each won the “Cobra” poster by Anthony Petrie from last weeks giveaway! Their names were chosen at random using random.org. Thanks again to Paramount Pictures for making this giveaway happen. “Cobra” by Anthony Petrie. 24″ x 18″ poster. Ed of 100. 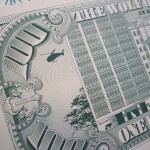 411posters if proud to announce our latest giveaway, “Cobra” by Anthony Petrie. This giveaway is brought to you by Paramount Pictures in anticipation for the upcoming release of G.I. Joe: Retaliation opening nationwide March 28, 2013. They worked with Gallery 1988 and Anthony Petrie to create this poster, and 411posters will be giving away 4 of these posters to 4 of you readers out there! 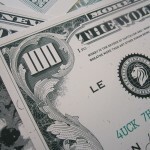 Details on how to enter the contest is as easy as commenting on this page. So readers, here it is! This giveaway will run for 1 week and will end on Wednesday, April 3rd at 11:59pm PST. The winners will be announced the following day on Thursday. Thanks! Paramount Pictures, Metro-Goldwyn-Mayer Pictures and Skydance Productions Present, in association with Hasbro, A di Bonaventura Pictures Production G.I. JOE: RETALIATION. Executive Producers Stephen Sommers, Herb Gains, Erik Howsam, Gary Barber, Roger Birnbaum, David Ellison, Paul Schwake and Dana Goldberg. Produced by Lorenzo di Bonaventura and Brian Goldner. Based on Hasbro’s G. I. Joe ® Characters. Written by Rhett Reese & Paul Wernick Directed by Jon M. Chu. In this sequel, the G.I. 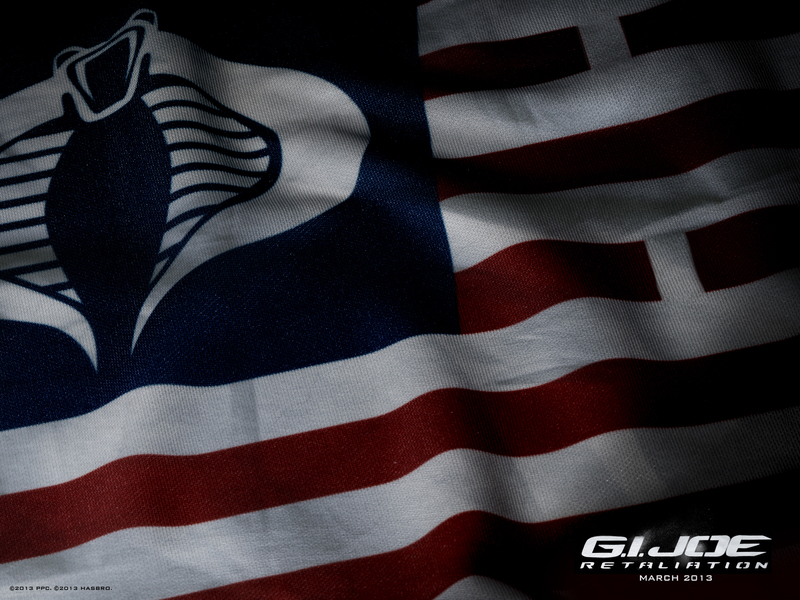 Joes are not only fighting their mortal enemy Cobra; they are forced to contend with threats from within the government that jeopardize their very existence. The film stars D.J. Cotrona, Byung-hun Lee, Adrianne Palicki, Ray Park, Jonathan Pryce, Ray Stevenson, Channing Tatum with Bruce Willis and Dwayne Johnson. Anthony Petrie has a new poster available titled, “Beetlejuice” via Three Barrels Ltd. 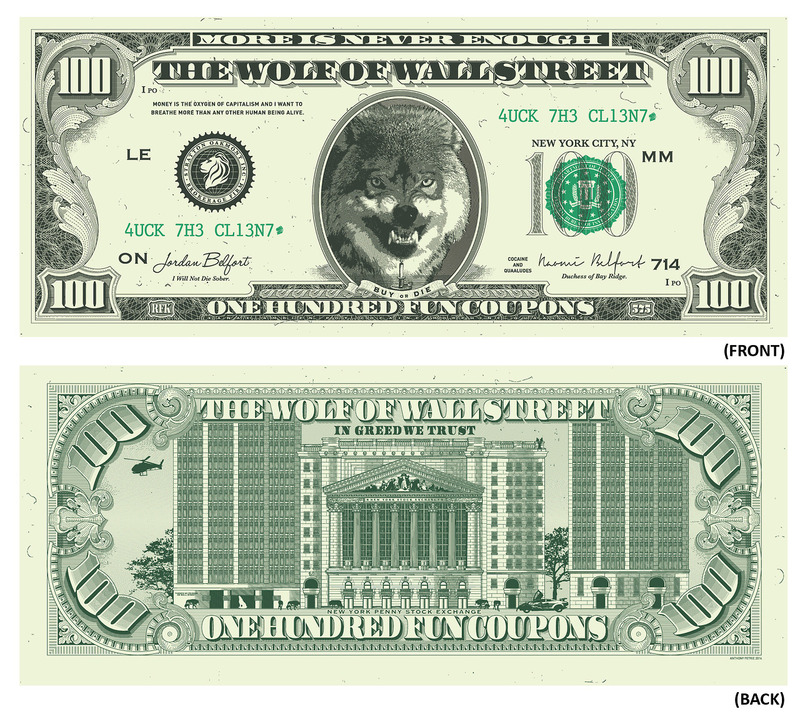 It is a 24″ x 36″ 5-color Screenprint that glows in dark, numbered edition of 225 (100 available online), and cost $35. On sale now HERE. 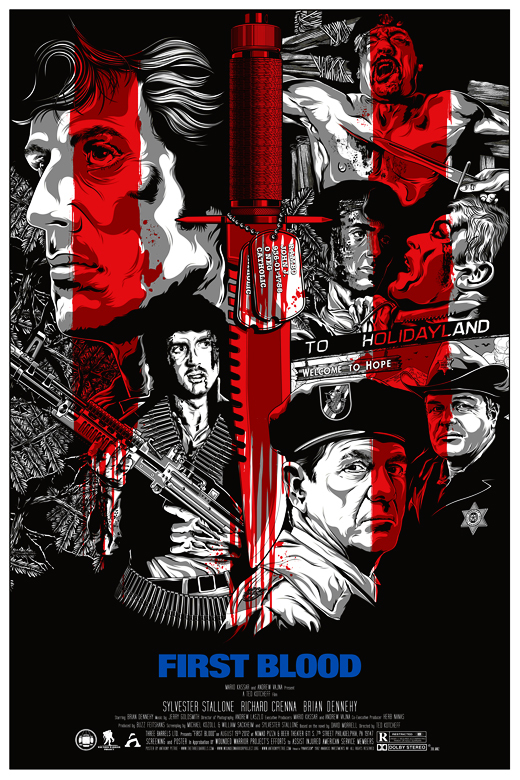 Anthony Petrie has a new print available titled, “First Blood” via Three Barrels LTD. 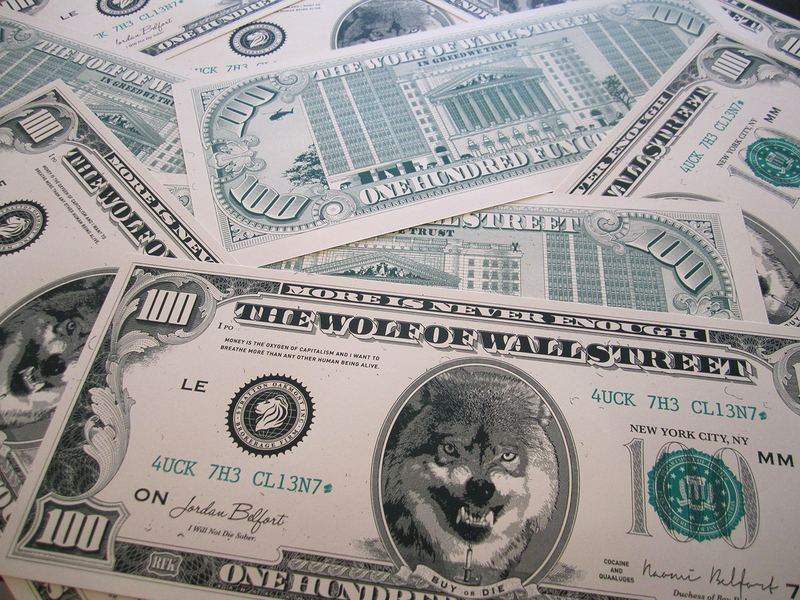 It is a 24″ x 36″ Screenprint, numbered edition of 175, and cost $35 each. 100 copies are available for online sale, and rest will be available at an officially licensed screening of “First Blood” at Nomad Pizza and Beer Theater in Philadelphia PA on Sunday, August 19th at 8pm. Read their blog for more info. On sale now HERE. ***Proceeds from the sales will go toward the Wounded Warrior Project to aid in their efforts to assist wounded american service members adjust to civilian life.